Australia are excited to host the Manu Samoa for the first test match between the two nations since 2011. Samoa will play the Wallabies on the 7th of September at BankWest Stadium in Sydney, as both teams build up to the Rugby World Cup in Japan later that month. Australian High Commissioner to Samoa Sara Moriarty said she was excited to hear the fixture had been announced. "This will be a great opportunity for both countries to showcase their impressive sporting talents and to further strengthen sporting ties between Australia and Samoa." She said Australia and Pacific communities share a common passion for sports. "It provides a platform for building people-to-people connections and strengthening of communities." She wished both teams all the very best in their preparations. "I know that last time they met, Manu Samoa definitely got the upper hand. "I am sure the Wallabies will want to settle that score." 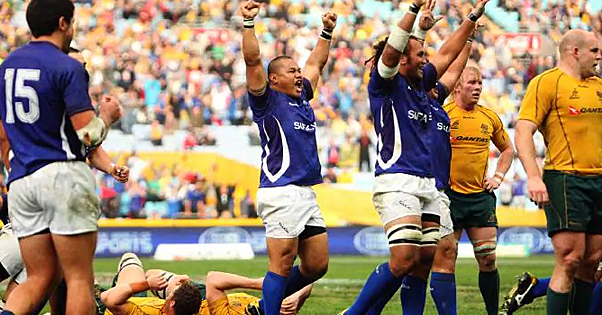 Manu Samoa defeated the Wallabies 32-23 in the buildup to the 2011 Rugby World Cup. Current Wallabies fullback Israel Folau said the move would be an important one for the Wallabies to take a Test to the fans in the west, an area of Sydney that has a large Pacific Island population. "It's so important for the overall growth of the game. "I think it'll be a packed out stadium, no doubt, there'll be plenty of Samoans and Pacific Islanders in general turn up to watch the game and support it."